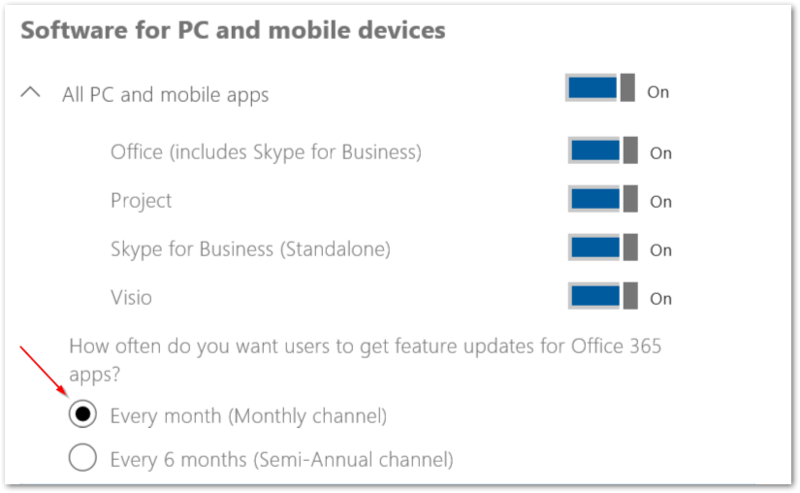 If you are an O365 subscriber with a Project Online Professional license or higher, your SharePoint Admin determines the frequency in which feature updates are pushed to your version of Project Pro desktop client (and other O365 products). Monthly Channel releases feature updates on a monthly basis. Semi-Annual Channel releases feature updates every six months – in January and July. Be careful! This will update the setting for all users who have subscriptions. If you choose to switch from Monthly to Semi-Annual, your users will likely lose some features and functionality that were updated as part of the Monthly Channel but have not yet rolled out in the Semi-Annual Channel. First, navigate to the O365 Admin Portal and log in. https://portal.office.com/adminportal/home. Next, select the “Settings” header to display the options and click “Services & add-ins”. 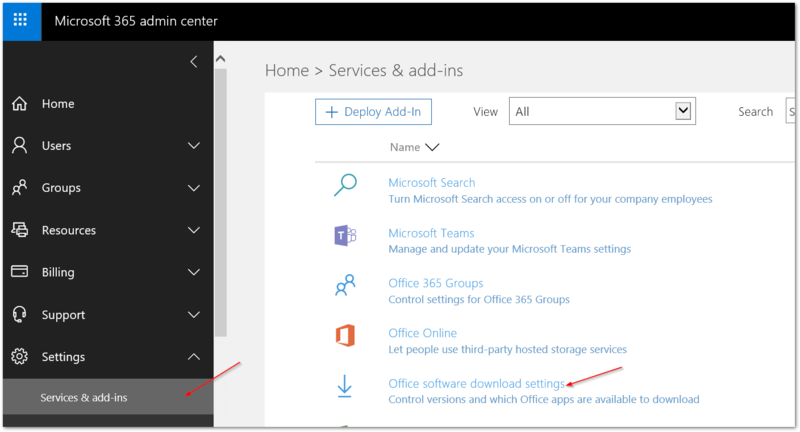 Then, click on “Office software download settings” to open the settings panel. Once the panel opens, update channel and which Office Products to apply the setting. It is recommended to keep the update channel the same across all products for easier Admin maintenance. Finally, after you have made the updates, scroll down and click Save.